To be Hamlet, or to be Hamlette? Wearing big baggy breeches and a natty, cropped choirboy haircut, there is no question that Maxine Peake brings a breath of fresh androgynous air to her red-hot interpretation of the most psychologically challenged of Shakespeare characters. Young and impressionable, stroppy but sensitive and wise beyond his years, Peake’s gender-reassigned student Danish prince is an obsessive seeker after truth who takes no prisoners when it comes to unravelling deceit, betrayal and immorality. This is intensely watchable stuff – and partly a homecoming for Peake, a local hero who has had a long association with the Royal Exchange where she was recently appointed as an associate artist. In between moments of fearless emotional rawness, Peake’s Hamlet comes across as a restless, direct action youth on a mission – a surprisingly jokey lad too and the only bright spark in a murky family circle where high-minded honour codes have turned rancid. The gender agenda certainly jolts perceptions as the drama unfolds on a mostly bare stage, extending to Gillian Bevan’s pompous Polonia, Claire Benedict’s female Player King, Michelle Butterly’s cynical Liverpudlian gravedigger and Jodie McNee’s cocaine snorting Rosencrantz. These are all equally engaging feminised characters, although once you’ve got used to it, the sexual blurring feels fairly obvious and seems to add very little that’s uniquely new or radical to the play. Using the Hamlet text created for the 2009 Michael Grandage production starring Jude Law, Sarah Frankcom’s stripped-back, low-lit version begins with all the brooding gloominess and dark secrets of a Nordic noir. And there are some imaginative set-piece moments to make up for the rough edges in the production, including a discarded old pullover replacing Yorick’s skull and a lively youth theatre troupe turning up to perform the murder play-within-a-play. Elsewhere, John Shrapnel as a quietly intimidating Claudius and a vengeful Ghost provides two powerful lynchpins to the unfolding melodrama, while delivering Shakespeare’s verse with crystal clarity in an evening where in-the-round audibility tends to be variable. Katie West gives an impressive performance as Ophelia, making her a conventional young woman who literally ends up tearing herself apart when the mad reality of Elsinore politics bites. Even with some textual cuts – the Fortinbras sub-plot is eliminated – this turns out to be a long night’s journey into Hamlet’s day of reckoning. 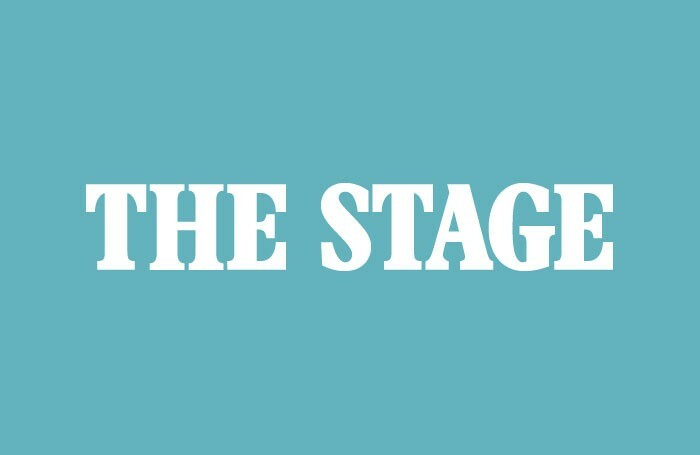 The set design too is disappointing – a pile of old clothes dropped down from the flies as the graveyard looks good at first but simply gets in the way for the rest of the play. But Peake keeps the attention on tenterhooks, reaching some rare dramatic heights while revealing unexpected comedy in the tragedy. She delivers the familiar soliloquies with a freshness and immediacy that’s impossible to resist, even if the gender re-assignment concept doesn’t go beyond the conventions of gender-swapping on stage. 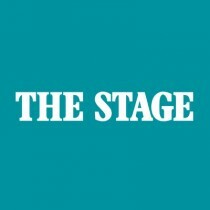 The Stage is a British weekly newspaper and website covering the entertainment industry, and particularly theatre. It was founded in 1880. It contains news, reviews, opinion, features, and recruitment advertising.